The Association “Teatro Colón Historical Center” presents the third Music Festival at Plaza del Vaticano, adjacent to Teatro Colon, that will be held from Saturday January 14 to Sunday February 5, 2017, always at 8 PM. 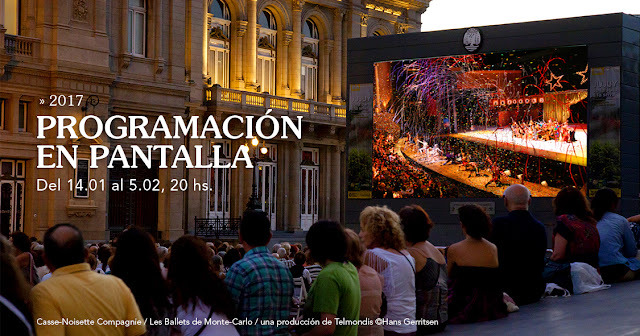 The Festival, sponsored by the Ministry of Culture of the City of Buenos Aires and other private institutions, will consist of 14 projections of high class concerts, operas and ballets, from the best productions worldwide, that will be screened on the large high definition outdoor LED screen that is located next to Teatro Colon. Chairs for free use of the public will be installed, to be occupied on a first come-first served basis. 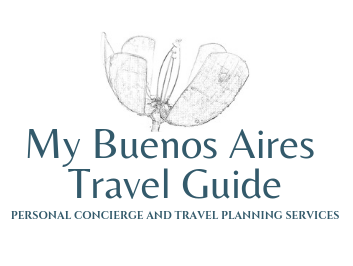 The complete program consists of operas, ballets and concerts, with performances by great artists like Marta Argerich, and Daniel Barenboim, and productions from prestigious companies like Teatro Colon, Teatro La Fenice, among others. 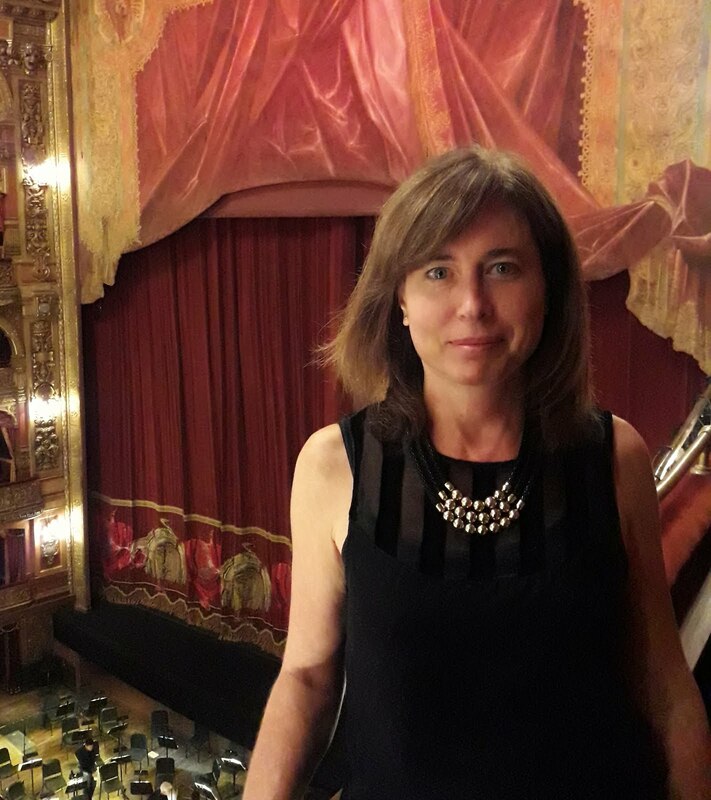 Production of Teatro Colón (2016). Sunday 15: Requiem by W.A. Mozart. Musical Director: Dalia Stasevska. Choir from the Opera Festival Church of Kerimäki, Savonlinna Festival, Finland. Thursday 19: Opera. The Magic Flute by W.A. Mozart (2014). General Direction: Simon McBurney. Musical Direction: Pablo Heras-Casado. Recorded from the Lyric Festival of Aix-en-Provence 2014, France. Friday 20: Opera. Adelaide di Borgogna. Gioachino Rossini. Rossini Opera Festival di Pesaro. Musical Director: Dmitri Jurowski, Stage Director: Pier’Alli. Orchestra and Choir from Teatro Comunale di Bologna. Saturday 21: The Twelve Cellists from the Berlin Philharmonic. Sunday 22: Ballet. Julia & Romeo. Choreography: Mats Ek, inspired in Romeo and Juliet by William Shakespeare. Royal Swedish Ballet. Music by P.I. Tchaikovsky. Royal Swedish Opera. Musical Director: Alexander Polianichko. Thursday 26: Ophélie Gaillard: Alvorada Concert. Church of San Cayetano, XVIII Century. Juanjo Mosalini, bandoneon / Romain Lecuyer, double bass. Manuel de Falla, Hector Villa-Lobos and Astor Piazzolla. Recorded at Festival Cervantino 2016, Mexico. Friday 27: Opera. The Nightingale, and other stories. Igor F. Stravinsky. General Direction: Robert Lepage, Musical Direction: Kazushi Ono. Choir and Orchestra from Opera Nacional de Lyon. Recorded at the Lyric Festival of Aix-en-Provence 2010, France. Cantata by W.A. Mozart, with choreography by the Equestrian Academy at Versailles. Les Musiciens du Louvre. Sunday 29: Duo by Martha Argerich and Daniel Barenboim. Sonata for two pianos by W. A. Mozart, Variations by Schubert and The Rite of Spring by Igor F. Stravinsky. Thursday 2: Opera. Othello by G. Verdi. Performed at the Doge's Palace in Venice, 2013. Musical Director: Myung-Whun Chung, Stage Director: Francesco Micheli. Orchestra and Choir from Teatro La Fenice. Friday 3: Recital by Jonas Kaufmann. Symphony Orchestra from Berlin Radio, Director. Jochen Rieder. Arias and duets from Viennese operettas. P. I. Tchaikovsky. Musical Director: Nicolás Brochot. Choreography: Jean-Christophe Maillot. Costume P. Guillotel, Costume Supervision by Karl Lagerfeld and Jerome Kaplan. Grimaldi Forum 2015, Ballet de Montecarlo. Sunday 5: Grand Choral Gala. Director: Jere Erkkilä. Famous choral scenes from the Operatic repertoire. I will always remember the concert on 9 de Julio in front of the Opera House ... so many people,so much fabulous music !